A Microbrewery located in the party hub of Sector 29 Gurgaon that offers an exceptional party and culinary experience. 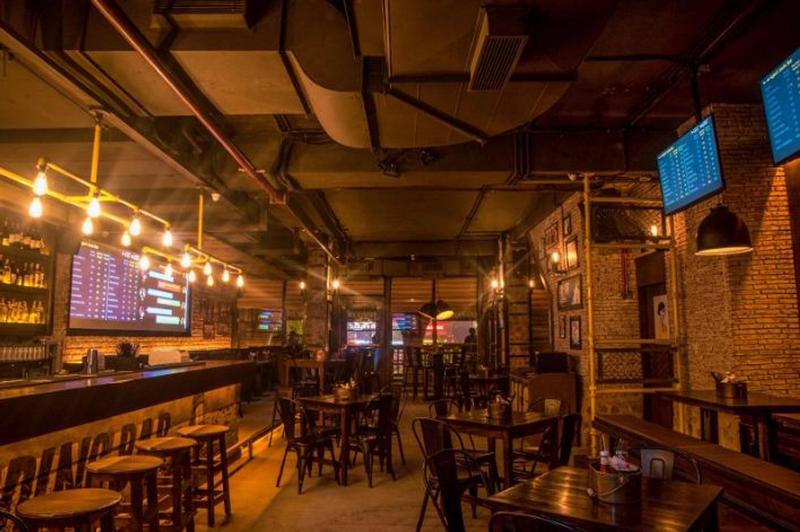 Agent Jack's Bidding Bar is a microbrewery located in the bustling market of Sector 29, Gurgaon. The venue is nestled at a distance of 2 km from its nearest metro station- Huda City Centre, on the yellow line of DMRC, and can be easily reached through a 6-minutes drive from the same. The microbrewery has a fairly impressive ambience, the venue is neither too bright nor too dull but has just the right amount of lighting for your party events. There is an availability of both indoor and outdoor seating for the customers. The indoor seating area offers an exquisite yet comfortable ambience, while the beautiful and classy outdoor area offers a magnificent view of the whole market. A full bar is nestled in a corner of the venue alongside the DJ console and perfectly elevate the party feels and the look of the venue. There is a live sports screen within the venue along with a few smaller screens for customers. The microbrewery is well-known for its in-house brewed beers and the wide range of delectable it offers from various cuisines like North-Indian, Continental, and Chinese. The various party-friendly food and beverage packages offered by the venue are customizable upon the customer's request. The food is impressively garnished and tastes delicious, providing the customers with a great culinary experience. Entertainment in forms of DJ and live music is there in the venue. The staff is exceptionally cooperative and the service is prompt. Agent Jack's Bidding Bar is an ideal party venue for your events like Anniversary Party, Birthday Party, Cocktail Party, Corporate Party, and all your Social Gathering Events.